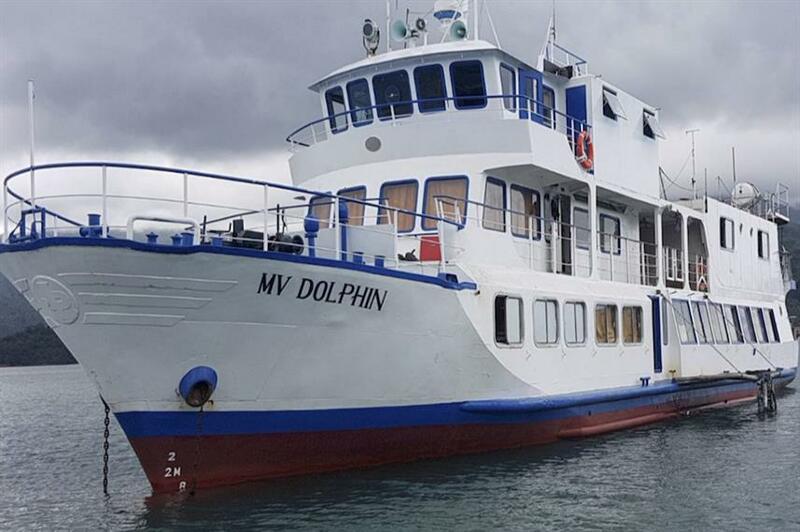 This is the eighteenth in a series which introduces and describes the various dive services and sites for worldwide liveaboard dive safaris. 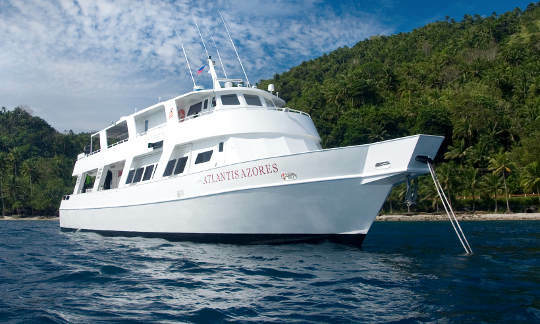 The focus in this one is on Coron Wrecks and Apo Reef liveaboards. Located 56 km west of the town of Sablayan on Mindoro Island is the marine sanctuary known as Apo Reef. It is the largest atoll in the Philippines and second largest coral reef in the world. Destructive fishing practices were discouraging diving there until 1996, when by presidential proclamation, it became a marine sanctuary and a UNESCO World Heritage Site. Since then enforcement has increased and the environment has flourished. Apo Reef is 34 square km (21 square miles) in area and has a narrow east/west 30 m (100 ft) deep channel dividing it into two lagoon systems. These shallow lagoons with sea grass beds are fringed by mangrove forests which provide spawning grounds for fish and sanctuary for birds. The fringing reef begins at 5 m (16 ft) and descends to 40 m (130 ft) with some steep walls and over 30 discernible dive sites. It has a rich coral reef system with excellent macro and lots of fish highlighted by schools of barracuda, jacks and tuna and sharks, manta rays and turtles. At Shark Ridge it is common to see white and blacktip reef sharks, mantas, bumphead parrot fish and hawksbill turtles. Big schools of large snappers, tuna and eagle rays frequent Binangaan Drop Off. Diving is possible year round with air temps from 80-96°F (26-36°C) and water temps from 80-86°F (26-30°C). Current is not usually strong and conditions are suitable for relative beginners and advanced divers. Visibility is generally great up to 40 m (130 ft). 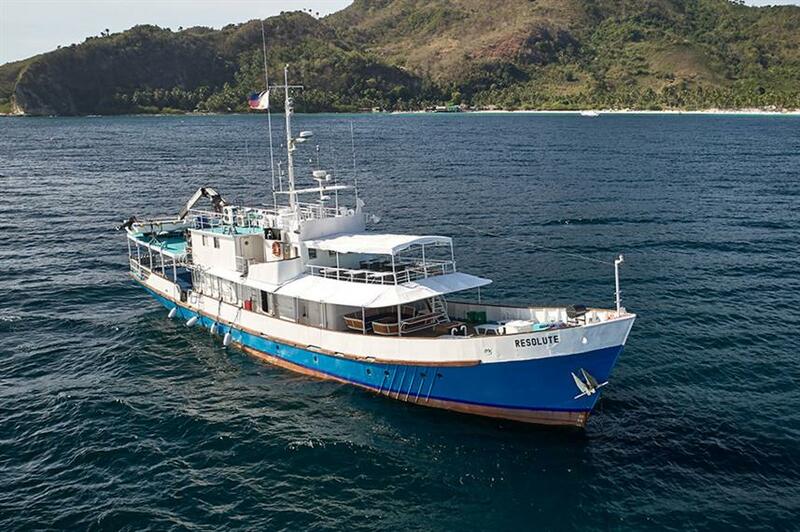 The relative isolation of Apo Reef makes liveaboard diving the best way to access it. On September 24, 1944 the Japanese fleet anchored in the Coron Bay area of Palawan Province in the western Philippines was caught unawares and 24 ships were sunk in a 15 minute aerial attack by U.S. forces. To date 12 wrecks have been discovered, mostly in the Tangat (Sangat) Island area. The Akitsushima is the largest at 160 m and the Irako the deepest at 43 m. Most are upright or on their sides and deep penetration is possible. It takes 2 or more dives to do significant exploration on most. With depth and penetration as considerations, these dives are most suitable for advanced divers. While the life on the reef cannot be compared to the richness of that on Apo Reef, there is a substantial amount of beautiful corals and interesting fish including barracudas and groupers, and lots of smaller fascinating fishes like scorpion fish, lionfish, crocodile fish and invertebrates like shrimps, crabs, nudibranchs, anemones and tunicates. 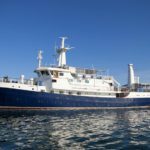 In the area are a number of richer non-wreck sites to investigate that are often included in liveaboard safaris like Kalumbuyan Island, Seven Islands, Bugar Reef and Barracuda Lake. The diving is good year round with the best visibility during the November to June dry season. It can be as good as 15 m (50 ft), but as bad as 5 m (16 ft), so the season is a consideration. 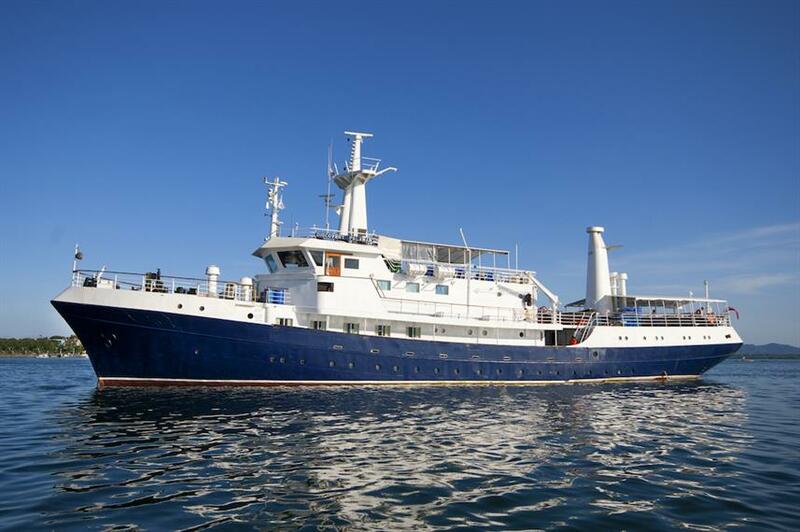 Fortunately the major liveaboards do their trips during the dry season. Water temperatures are also fairly warm year round ranging from 25-31°C (77-88°F). Most divers will want a 3mm full wetsuit during the dry season, which is also the cooler season. 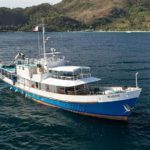 Below are the boats all combining dives on Apo Reef and the Coron Wrecks in the same cruise during the dry season of November to June. Each has it own special features, services, itineraries and pricing. It has always been a dream of mine to be able to go scuba diving in these awesome tropical places I have seen so many times on the television, I haven’t tried it at all yet as there is nowhere local to where I live where I could have scuba diving lessons, if that’s what they are called, lol. I’ve heard that you need so many hours dive time to be able to dive in certain parts of the world but you would think that diving would be the same everywhere wouldn’t it? A couple of questions if you have the time to answer them for me please? First one is in from the UK and would love to know where I can go to get taught to scuba dive? And the other is how many hours would I need under my belt to be able to on the Apo Reef Dive? Thanks a lot for your interest, comments and questions. 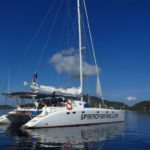 There are also many resorts and liveaboards that do this training. The basic open water course takes 3-5 days to accomplish and includes 5 shallow water or pool training sessions and 4 open water dives with a maximum depth of 18 meters. 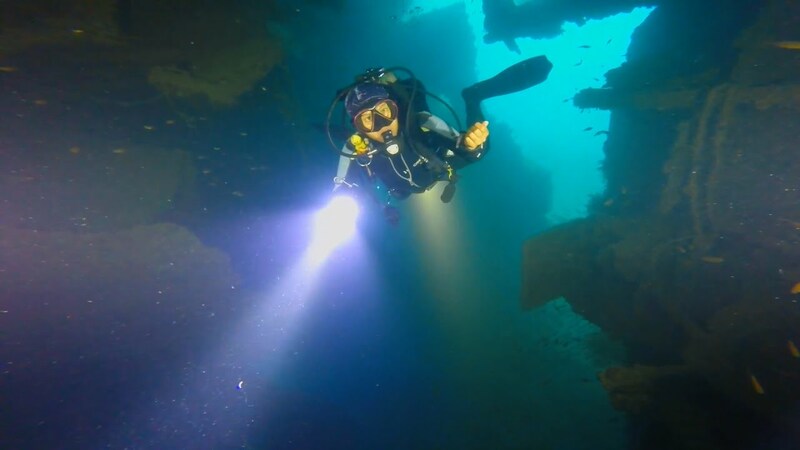 If you would like to go beyond that boundary you could take the advanced open water course which includes 5 dives under more advanced conditions. Also, there is reading and study to be accomplished. At Apo Reef there are some dives suitable for beginners and some a little more advanced. I hope you can do the course and get started. There is a lot of diving around the UK that is very interesting and exciting, as well. If you have any further questions about anything related to scuba diving, please let me know. Hi Joe. I found your article to be inspirational and motivating. Diving seems so relaxing and therapeutic. The sad part is that these corals reefs are disappearing at an alarming rate. I think your site should contain some awareness section about the depleting corals due to massive amounts of garbage being thrown into the oceans. Not only these corals are beautiful but they also serve a major purpose in ecology. I think a site like yours is a perfect place to bring awareness to the world. Thanks a lot for your comments. I can see you are very environmentally conscious. In the scuba diving community we, too, are extremely conscious of practices that are damaging to the environment and to the ocean in particular. From early in our diver training this is emphasized. The major training organization, PADI, has Project Aware, where divers and volunteers clean up reefs and beaches and have educations seminars for the public. A vast majority of trained divers have participated. So, as divers it is built-in that we are ambassadors for a cleaner more natural environment without negative influences from man. If you would like to become a certified open water diver, it takes 3-5 days and involves 5 shallow water or pool training sessions and 4 open water dives, not to mention some reading and studying. 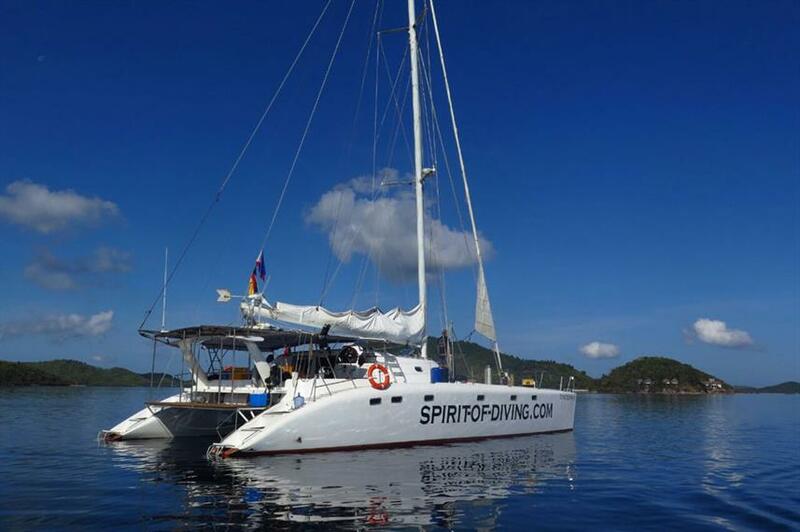 This can be accomplished on some of the liveaboards and at many beautiful resort locations around the world. Let me know and I can help you select a suitable place for you to do it. 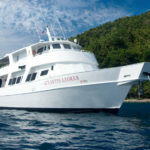 As an avid snorkeler who has never found the time for my scuba certification, I am thrilled that these types of excursions exist and that they are specifically snorkeler friendly!!!! Although the shipwrecks may make me too sad to explore, I am delighted that there are reef diving options to consider visiting. I love that destructive fishing practices are being discouraged and that so much of the habitat is recovering after being designated as protected. This site gives me some new things to daydream about and eventually plan a trip for. My snorkel gear is ready when the time comes! If at some point you would like to get certified, I can give you some advice on how to get it done. Some of the liveaboards offer the open water diver course and there are many beautiful resorts around the world that can do it. 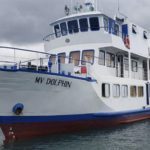 This cruise and many others are snorkeler friendly, but as you know you are not going to go get a chance to see the Irako at 40 meters in depth with only a snorkel. Fortunately the crew would arrange many places that are suitable. Apo Reef and many of the islands around Coron have excellent snorkeling opportunities. Many people in the Philippines are poor and looking for any way to make a living including dynamite fishing. Fortunately there is now much stronger government support and control and education. Many of the dynamite fishermen are now able to participate in the increased tourism and diving activities to help earn a living. If you have any further questions or comments about anything related to scuba diving, please let me know.